How Long Will The TRUE Excel 900 Last? This expensive of a treadmill warrants a level of quality that is likely to last at least twenty years if not more. The True Excel 900 treadmill is also backed by True which will help to ease any concern that may arise if a repair is needed. With that said, this treadmill is like purchasing a new Audi or Jaguar instead of an Altima or Malibu. If you are willing to spend this much on a treadmill, please take the time to learn how to properly maintain a treadmill. Simple steps like unplugging your machine, buying a pair of treadmill-only shoes, and setting up a cleaning routine will help to ensure that you get the most for your money. In this price category, one should hope that they will get the best possible treadmill and not have to worry about shortcomings. Auspiciously, True's Excel 900 certainly does not fall short of this expectation. The Excel 900 comes with a few unique qualities that are matched with the optional of an affordable additional console all backed by a warranty from a reputable company. Taking this into account, we have awarded the True Excel 900 our First Place 2019 Best Buy Award for the $6,000 dollar and Up category. Another aspect that we like is the better affordability without a shortage of features. The Excel 900, while still more than $6,000, is less than most of the other leading treadmills. Additionally, one can choose the better console for an additional $1,600, still leaving the Excel 900 less expensive than other treadmills in this $6,000 and up price range. While the additional console comes with web connectivity and additional workouts, the console that comes with the Excel 900 still has 22 built-in workouts. True hasn’t devalued the Excel 900 by making the additional console almost necessary to enjoy the treadmill while keeping the additional console affordable. As per usual, True has equipped the Excel 900 with a respectable warranty. 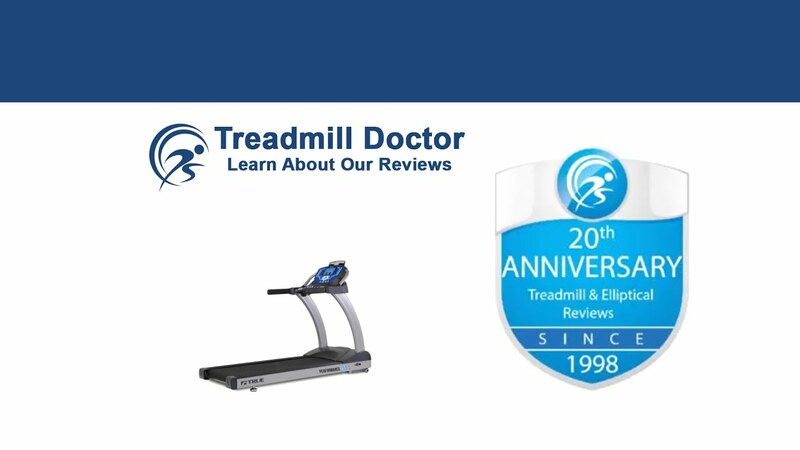 This treadmill comes with a three to a ten-year warranty on the parts (varies depending on the type of console you choose) as well as a two-year labor warranty. Backed by one of the most reputable companies in the treadmill market, this kind of warranty adds a reasonable amount of value to the Excel 900. The only two aspects that may provide a few setbacks are the price range and the orthopedic belt. First, we realize that the $6,000 and Up category is far away from most people's ideas of treadmill budgets. While you do not need this nice of a treadmill, you certainly will be receiving a quality treadmill that has an exceptional amount of value. Also, we like to add the typical concern that comes with an orthopedic belt. These belts tend to be thicker and cause more wear and tear on the motor and drive electronics. With that said, True has been known for their ability to make treadmills that can accommodate the extra attrition from orthopedic belts. Additionally, the type of quality and reputable company that comes with the Excel 900 are not likely to require repairs. Over the years, we have said that the True Excel 900 is one of the best treadmills for the $6,000 and up price. We have liked the unique quietness and the cushioning features and have recommended this treadmill for users without a budget constraint. Overall, we really do not have any serious concerns about the Excel 900. If you are concerned about the money, then you can be assured that you are receiving a quality treadmill. But, you can still find a good treadmill for less which may lead you to consider a cheaper treadmill. Still, True has designed a durable treadmill that has more quality than most and, therefore, is less likely to need repair. From light to heavy runners, the Excel 900 is accommodating with varying cushioning levels and is equipped to handle multiple degrees of use. Thus, our First Place 2019 Best Buy treadmill in the $6,000 and Up category is a quality treadmill with unique features and a more affordable price than some of the other leading treadmills.